Singing Express 4 Songbook is the fourth title in a complete Singing Scheme for the primary school. Cross-curricular topic-related songs, specially written and collected, support the child's developing voice through the primary years. Inspired by the Government's Singup initiative Singing Express effectively comes with its own singing leaders and puts them directly into the classroom to teach children and teachers alike. Ideal for teachers with music skills, who want to teach the songs from Singing Express to their own accompaniment. 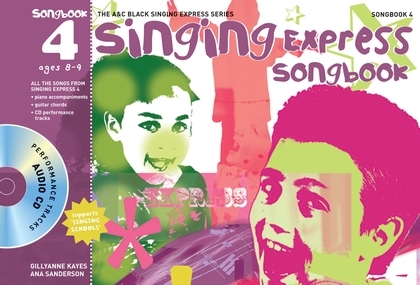 Singing Express 4 Songbook is the fourth in a series of four packs and is for ages 8-9 years.